Expression of pride and quality. 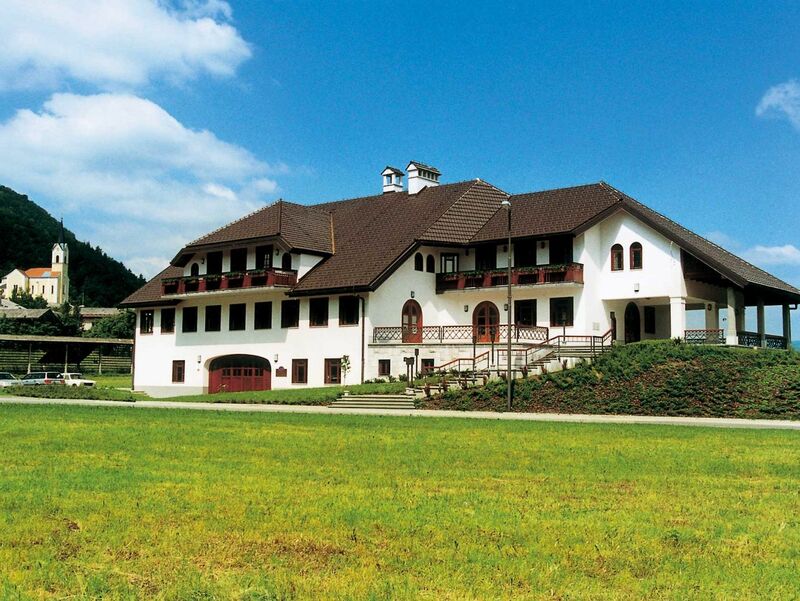 Since 1996, the House of Culinary Arts Jezeršek has been regarded as a synonym for catering as at its opening it became the first facility in Slovenia dedicated solely to this activity. Over the past twenty years, a wealth of important personal, business and social events took place under its auspices. In addition to anniversaries, weddings and pre-New Year gatherings, it is a popular place for junior proms, business team buildings and even the Carniolan Sausage Festival found its place here. Even today, we can claim that the House of Culinary Arts is an expression of pride and quality. In 2017 the House of Culinary Arts Jezeršek has closed its doors to the general public. Due to the increased scope of work in catering as well as the expansion of the company (Dvor Jezeršek, Bled Castle Restaurant) it has become a multifunctional facility that now serves as a core for all other activities. There are the company headquarters, where all common services (sales, marketing, accounting) operate and where centralized logistics, purchasing and pre-preparation of foods take place. A modern storage area with other technical facilities for catering and dishwashing, as well as cold storage and own aging rooms are also a part of the building. The heart of the House of Culinary Arts is still the main kitchen, which is now joined by a pastry room. A large cooking team takes care of preparing dishes that are served at various destinations in Slovenia and beyond our borders. In the House of Culinary Arts Jezeršek, there is a whole range of collaborators. A true culinary orchestra that never disappoints its conductor. An orchestra is not only a well-tuned team, but a great master culinary family that can enrich your culinary everyday any time and any day. Jezeršek House of Culinary Arts (Hiša kulinarike Jezeršek) is situated in Sora, a village near Medvode, only a 30-minute drive from Ljubljana.